An unhappy relationship, as per Dr. Gary Chapman, author of The Five Love Languages, comes down to basic roots. We speak different love languages. Dr. Chapman has been a counselor for over 30 years and has identified five love languages. 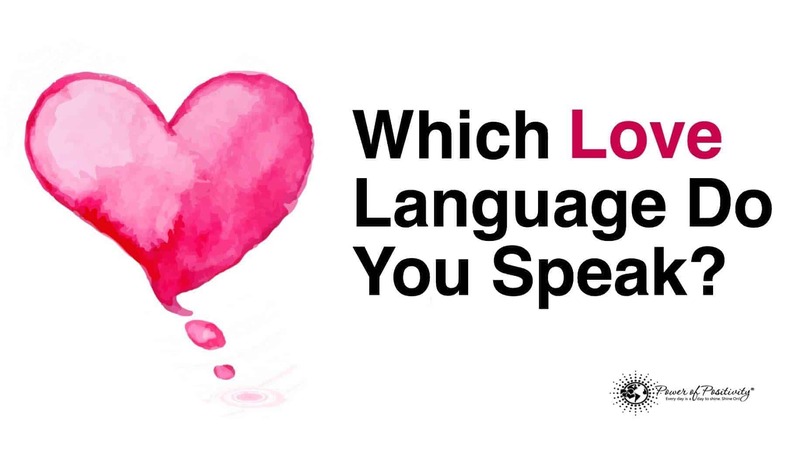 As you read the following, can you identify your love language? Using loving words is a sure way to get into someone’s heart. Are you easily moved by words of encouragement? There is a big difference between nagging and supportive words. Someone who has this love language needs to hear encouraging words from their mate. You thrive on words of kindness. On the same token you also use this language to love another and show support. Something as simple, “You are a great husband/wife. I appreciate you so much. Thank you for all that you do.” In today’s techno world a simple text of loving words hits the spot. A post-it note on the car seat will go a long way with your spouse. Words are beautifully used to enhance the emotions of love so a person with this love language gets hurt on negative words. Remember that the tongue has no bones, but it is strong enough to break a heart. Doing something without asking or expecting can be magical for the person with this love language. Do you find yourself doing things for your spouse for not reason but because it feels good? Do you also expect him/her to show you through action? This language is an expression of love without the use of words or explanation. If you enjoy when your mate takes out the garbage, puts gas in your car, vacuums, fixes things that you cannot fix, gives you time alone to take a long bubble bath while he watches the kids, or cooks dinner when you are running late, this is your language of love. This love language has nothing to do with materialism or possessions. This is about acknowledgment. If you have this love language and your mate forgets to bring you a birthday card, you will be deeply hurt. Receiving gifts is about the gesture behind the action. Gifts are gestures of love and appreciation. Something as simple as bring home your mate’s favorite candy can feel like Christmas morning to them. Small gestures go a long way with this language. You don’t have to purchase anything to touch the heart. It’s about giving from a place of gratitude and appreciation. Spending quality time means having undivided attention. This love language represents anything from TV watching together in bed, reading next to each other, walking in a park, or sharing a dessert. It’s about creating special memories through togetherness. It can be a lovely as staring at a full moon with a glass of wine. If you love spending time with your loved one more than anything else then this is your love language. We are a busy generation. Do not let the hectic schedules of work, children, or commitments disrupt the time you spend with your loved one. This type of touching doesn’t mean the act of sexual relations. The language of physical touch is about being caressed and loving without being intimate. If you love when your mate passes by you and rubs your shoulders, or holds your hand in public, then most likely this is your love language. A tight hug in the morning with a peck on the lips brings a feeling of new beginnings to your day. It’s as subtle as a kiss on the cheek. We are physical beings. The person with this love language who has been neglected for a long period of time will be very unhappy in their relationship. Just as children need hugs, so do adults in relationships. Make the time to show your love through a physical gesture on a daily basis. You can have several types of these love languages. There is one that stands out, dominating the others. Once you know your primary love language, and that of your loving partner, you can understand them better. We all communicate in different ways, but having a deep sympathetic reaction of how we love and need love, is a helpful addition to any relationship. After all love, is not just a noun…it’s also a verb.